Conducting change through education is the best way to make a difference. What is Lebanon Organisation for Green Schools (LOGS)? Lebanese organization for Green Schools (LOGS) is a non-political organization, non-sectarian, independent incorporated Lebanese NGO, based in Beirut. We believe conducting change through education is the best way to make a difference. School is the natural and ideal place to learn, raise environmental awareness, build habits and citizenship values. 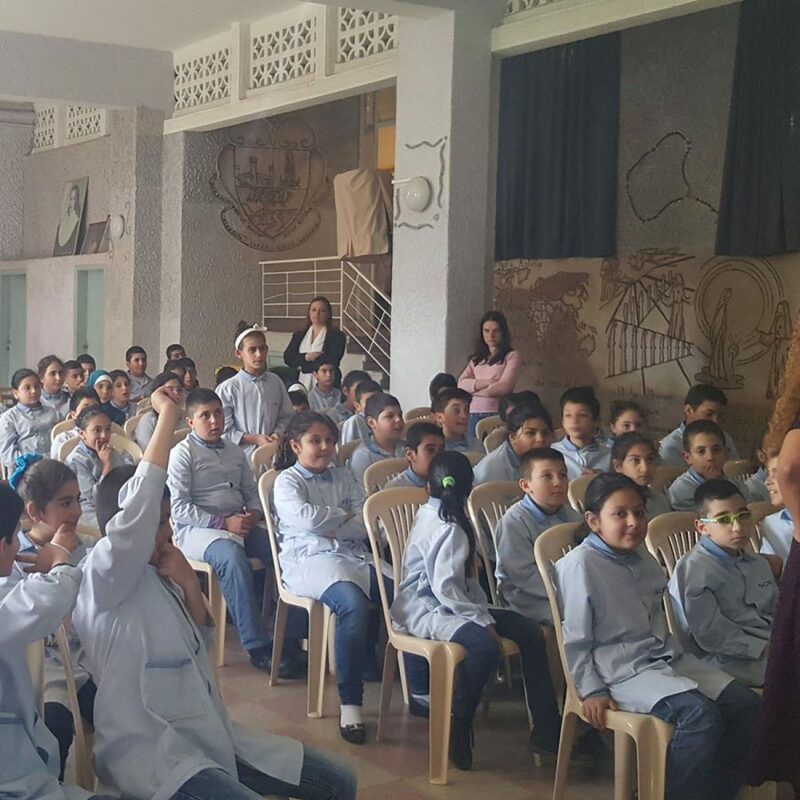 Students make up one quarter of the entire Lebanese population, they spend fifteen years of their lives at school and so we believe we can achieve a lot during this period. Education for sustainable development enables the whole school to develop ethical actions that values people and nature. Thes ethics form the decision making process for every day actions. LOGS is therefore a combination of humanity, education, environment and most importantly seeds for a better tomorrow. LOGS uses a top down approach: starting with training administrators & staff on green practices, covering the major departments such as languages, mathematics, sciences and humanities. We assist schools to establish their own environmental student-led clubs to address specific issues typical of their school. The school building itself is turned into an action project. We believe that the children of Lebanon can make a change and build a better future. LOGS aims to promote green schools through the following activities: School-based awareness campaigns Establishing an environmental club at the school to engage and motivate the students to take action on environmental issues Educate teachers and staff to develop skills and build their own capabilities in sustainable development Turning the school building itself into a contextual project, a learning tool, to students to learn about an take action on renewable energy, water use, and waste management. Collaboration and twinning with other institutions. Awareness campaigns in the schools for students. Establishing an environmental club at the school to engage and motivate the students to take action on the environmental issues. Train the trainer for teachers and staff to develop skills and build capacities. Turning the school building itself into a living proof and a learning tool in regard to power using renewable energy, saving water and waste management. Collaboration and twinning with other institutions.